What do you do when you return to somewhere familiar? A return to Portugal cycling and the alluring Algarve brings so many great experiences. One of the first is a trip to the beach, put your feet in the Atlantic Ocean, feel the pure white sand between your toes and the warmth of the sun. Relax and enjoy a Superbock ‘preta’! What we miss next is the diverse flavours of this unique region, we love seafood and with the weather so warm here in October it is the perfect choice, we head to our friends at Restaurante O Mané in Portimao. You will be guaranteed a fresh selection, just ask Carlos or Jose they will serve you the finest seafood on offer with a local wine to match, you’ll be pleasantly surprised at the amazing value and great conversation in the Algarve! Don’t forget the ‘green melon’ it is sweet, refreshing the perfect desert to finish a wonderful meal. The Sun shines brightly the following day, time to ‘make circles’ and pedal the roads of the Serra Monchique. The ‘alluring Algarve landscapes’ is calling again it’s so different to our ‘Cycling Paradise of the French Alps’ so uniquely different, with quite roads for our first ride back in the Algarve, perfect Portugal cycling. You don’t pedal to Monchique or Foia without noticing the unique mountain smells on route, descending Foia, you must stop and take in the spectacular views at Luar da Fóia this traditional Monchique restaurant, no need to look at the Menu, just let Joao suggest the best tastes of the day, he will make sure you have the perfect Mountain food experience! 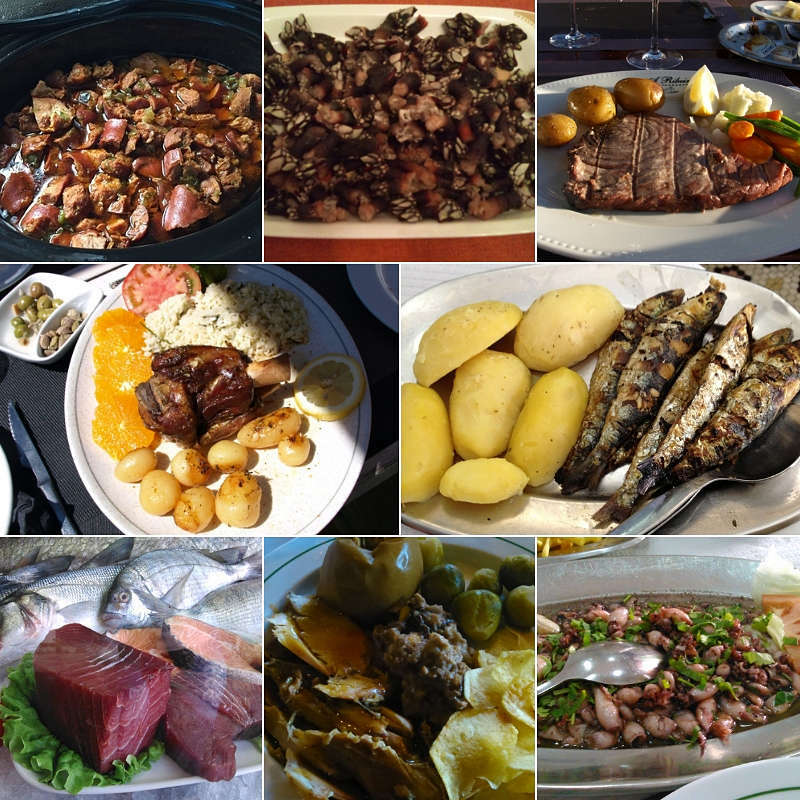 There is a saying here, if the Portuguese people leave, they always come back…so do we!